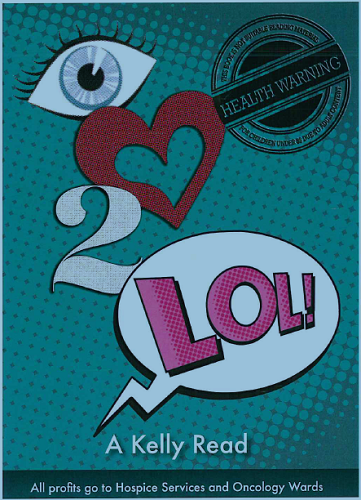 Sean Kelly’s ‘I Love 2 LOL’ is a book & CD of funnies/monologues/jokes and original parody songs. Yes! As the names suggests, it’s designed to make you laugh. All profits are destined for Hospice Care and Medical 4 Ward at University Hospital Waterford. Kelly’s book will be available for purchase on the launch night and also at Cahill’s Book Store, Tramore; The Book Centre Waterford and at all good car-boot-sales and garage clear-outs in the coming weeks. Remember! “When they’re gone…they’re gone”, so get yours, NOW! This entry was posted on November 23, 2016 by waterfordarts in Book, General and tagged Book launch, Coastguard Cultural Centre Tramore, whats on waterford.